James Benning's early films fused the "structuralist" investigations into sound-image relationships of filmmakers like Michael Snow and Hollis Frampton with an interest in narrative and a deep sensitivity to color, light, and landscape. He first grabbed the attention of the avant-garde film world with 8 1/2 x 11 and 11 x 14. Filmed in vivid color in the rural and urban landscapes of his native Midwest, these two films would provide the kernel for his further investigations into film form. 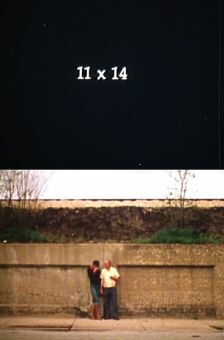 His films' rigorous structures -- often based on numerical systems -- and exquisitely composed shots reflect his training as a mathematician, and their frequently autobiographical subject matter draws upon his working-class roots (a rare subject for avant-garde film) and his longtime commitment to political activism. While his earliest films are mostly concerned with form and narrative, his work in the '80s began to introduce both personal subject matter and documentary elements, at the same time becoming increasingly concerned with the themes of history, memory, and death. 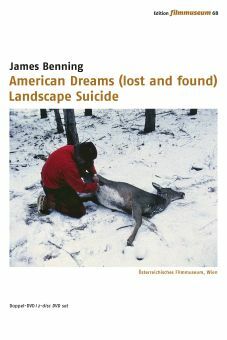 American Dreams, Landscape Suicide, and Used Innocence all provide glimpses into the minds of violent criminals through their own words, and are made all the more chilling by Benning's decision to place their crimes in their historical and political and contexts rather than pass judgment on them. 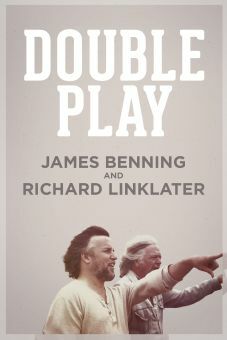 After moving to California in the 1990s, Benning began, with the highly acclaimed Deseret, a series of experimental documentaries investigating the effects of history and politics on the American West. Composed almost entirely of landscapes, these films recall his early experiments with cinematic time and offscreen space, and are considered by many to be among his best. His central innovation -- the use of narrative to explore cinema's formal possibilities -- has proven to be enormously influential on a number of experimental and independent filmmakers. Echoes of his style and compositional sense have popped up in television commercials since the '70s, and can be found in the work of such directors as Jim Jarmusch, Chantal Akerman, and Rob Tregenza.